The Greenhabilitator dons her cape for a day of action...climate action! "350 is the most important number in the world—it's what scientists say is the safe upper limit for carbon dioxide in the atmosphere... Right now, mostly because we’ve burned so much fossil fuel, the atmospheric concentration of co2 is 390 ppm—that’s way too high, and it’s why ice is melting, drought is spreading, forests are dying. To bring that number down, the first task is to stop putting more carbon into the atmosphere. It means switching off fossil fuel much more quickly than governments and corporations have been planning. Our best chance to speed up that process will come in December in Copenhagen, when the world’s nations meet to agree on a new climate treaty. Right now, they’re not planning to do enough. But we can change that—if we mobilize the world to swift and bold climate action, which is what we're planning to do on October 24th." Today is International Day of Climate Action inspired by 350.org. Hundreds of thousands of people in over 180 countries will be making a statement today: Give us a strong, global climate treaty. 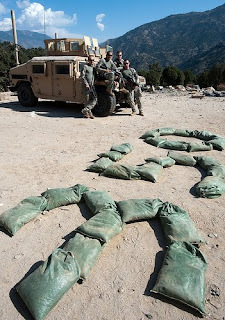 And in the remote Korengal Valley in eastern Afghanistan, "US troops stood down for 350. These soldiers are part of the 2nd Battalion, 12th Infantry Regiment, 4th Infantry Division based out of Fort Carson, Colorado. While they posed in front of their vehicle, they no longer use it, preferring to walk everywhere when they go on key leader engagement with elders from local villages." Visit 350.org and/or follow them on Twitter. Visit tcktcktck.org, an organization "uniting people from around the world, from all walks of life, to tell our leaders that we support them in making the right deal." (That "tick tick tick" is the clock counting down to Copenhagen.) You can also follow them on Twitter. But, most importantly, get out there and join in! Find an event going on in your area or plan your own action with friends and family. Green Bean~ I will be supporting our city's effort at garbage reduction (e.g. shopping the city wide garage sale). I also found an event close enough to us and it's at our favorite kids museum. I'll plan to go to it: Growing Up Green by the Green Job Corps in San Mateo. 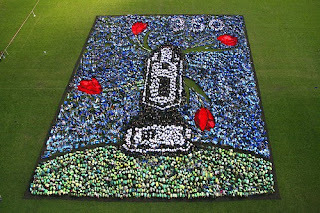 The Conscious Shopper~ We'll be attending the "Community Earth Care Interfaith Service for 350" on Friday night. There's also a march and rally on Saturday to protest building a new coal plant, but my husband will be out of town that weekend, and I'm not sure I want to take my kids to an event that advertises that "a group of volunteers will be risking arrest to deliver the message." :) But we might go take a peek at it anyway. 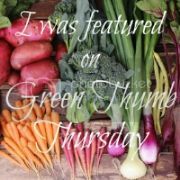 The Greenhabilitator~ I was pleasantly surprised to find out that my tiny little mountain town is having a Climate Action Day event! We have a play date in the morning at the local pumpkin patch (hey maybe we'll rearrange the pumpkins into a 350!) then we're heading to the 350 festival by our house. Regular Booth guest poster Karen Moser-Booth~ In the afternoon, my husband, toddler and I will don blue and scuba gear and take the T (mass transit) to the Boston Under Water festival held in a waterfront park on the Greenway. The event is trying to raise awareness that climate change has a local, immediate effect. Here in Boston, the rising seawater would take out a good portion of our city....so we'll be participating in a race to build a wall of sandbags, learning about what storm surges will mean for Boston, doing the massive 350 group pic, etc. 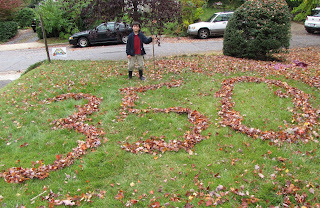 Here's more info for other folks in Boston: http://www.350.org/node/5998. What will you be doing? Leave us a comment before or after the event (or both!). We'd love to hear about your experiences. Unfortunately, our event ended up being for tomorrow. Yeah, we weren't the only ones who were confused. Wish I had had the guts to take the kids to the San Francisco event but 1 mom, 2 crazy boys, big crowd, just didn't happen.